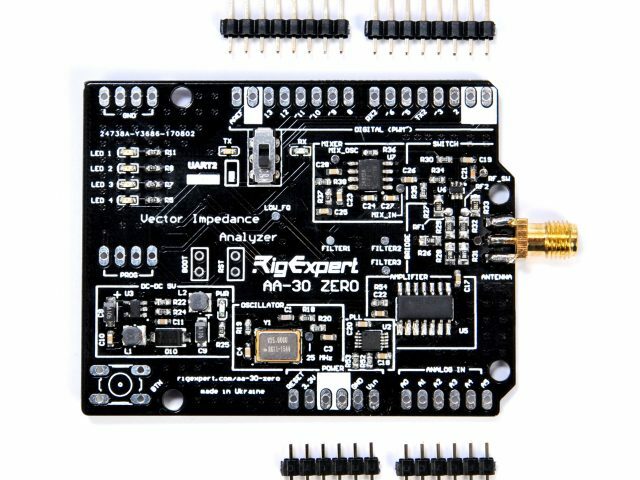 Rig Expert Ukraine Ltd. develops leading edge radio communication, testing and measurement equipment for radio amateurs and professionals. 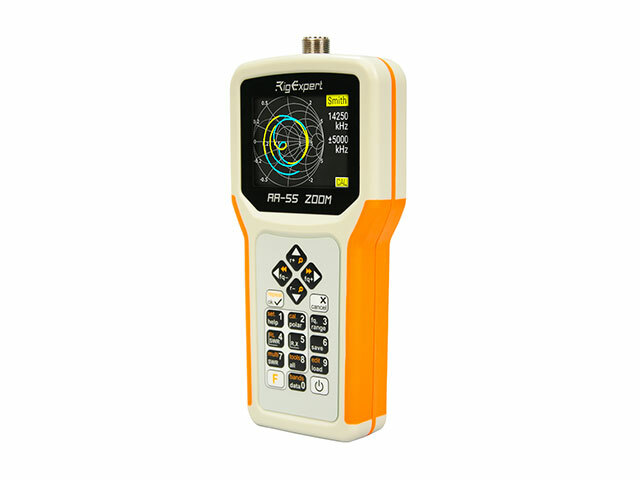 The RigExpert range of antenna analyzers is recognised by professionals and amateurs for their high standard and quality. The analyzer is designed for measuring SWR (Standing Wave Ratio), Return Loss, Cable Loss, as well as other parameters of cable and antenna systems from 60 kHz to 35 MHz. The analyzer is designed for measuring SWR (Standing Wave Ratio), Return Loss, Cable Loss, of cable and antenna systems from 60 kHz to 55 MHz. 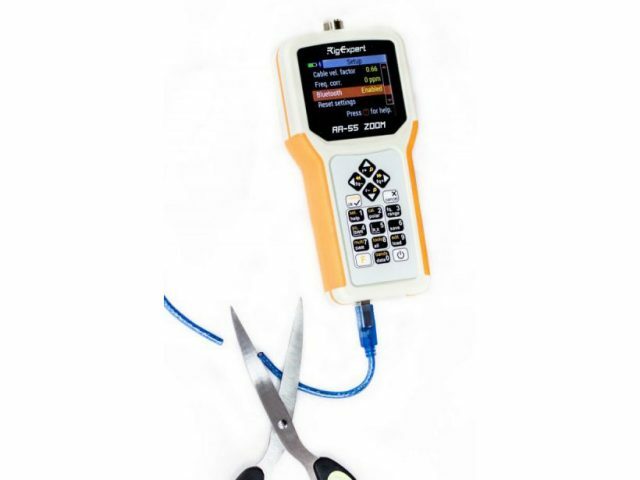 This analyzer with Bluetooth technology is designed for measuring SWR (Standing Wave Ratio), Return Loss, Cable Loss, of cable and antenna systems from 60 kHz to 55 MHz. With its ability to work in conjunction with a smartphone or the tablet/netbook, the AA-55 ZOOM Option Bluetooth antenna analyzer is your laboratory in a field. The analyzer is designed for measuring SWR (Standing Wave Ratio), Return Loss, Cable Loss, of cable and antenna systems from 100 kHz to 230 MHz. 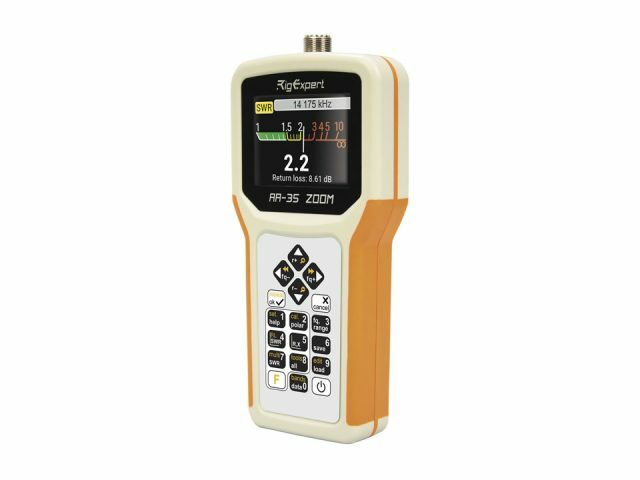 The analyzer with Bluetooth technology is designed for measuring SWR (Standing Wave Ratio), Return Loss, Cable Loss, of cable and antenna systems from 100 kHz to 230 MHz. 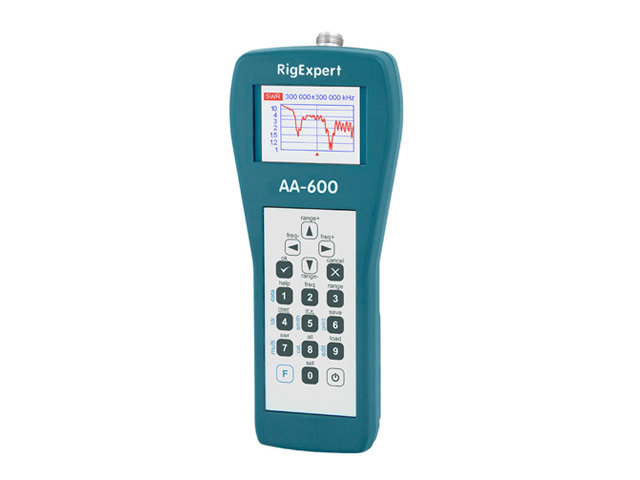 RigExpert AA-600 is a powerful antenna analyzer designed for testing, checking, tuning or repairing antennas and antenna feedlines in the 0.1 to 600 MHz range. 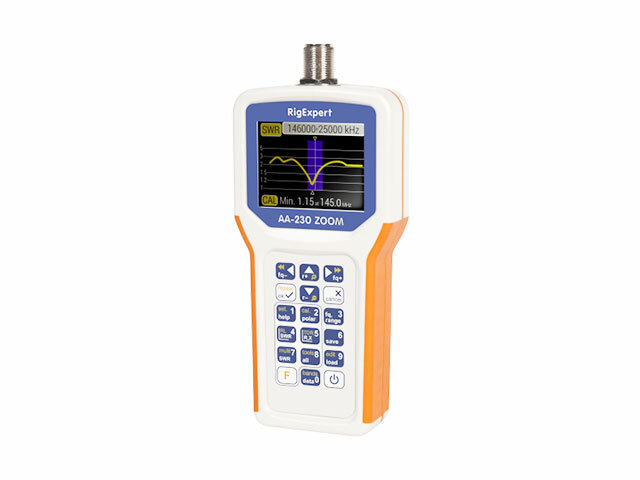 RigExpert AA-1000 is a powerful antenna analyzer designed for testing, checking, tuning or repairing antennas and antenna feedlines in the 0.1 to 1000 MHz range. RigExpert AA-1400 is a powerful antenna analyzer designed for testing, checking, tuning or repairing antennas and antenna feedlines in the 0.1 to 1400 MHz range. 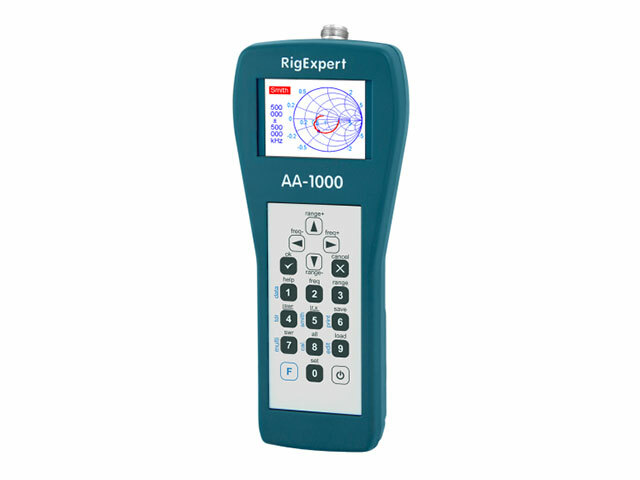 RigExpert AA-30.ZERO is a standard AA-30 analyzer but without enclosure, LCD display and keypad. AA-30.ZERO is even more powerful than the trusty AA-30.